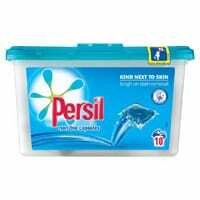 You can get free Persil tabs to do your laundry. Try them out for free by giving in your details and where to send the free tabs and they will be posted to your mailing address. All they need from you in return is to give an honest review about this product. In order to get this product for free, click on “GET IT HERE” button and then follow the instructions on next page in order this awesome freebie. You will have to give your feedback on how they performed. Once you are accepted, they will be send them within 14 days.